Potentially damaging stimuli, including mechanical, thermal, electrical, and biochemical. Nociception is the activity produced in the afferent nervous system by potentially tissue damaging stimuli. Pain is the perception of nociception. "When a finger is pricked the damaged tissue send nociception in the afferent neuron which is interpreted by the body as pain." It is created as a result of ongoing activation of primary afferent neurons in cutaneous and deep tissues. Nociceptors respond to various stimuli, including mechanical, thermal and biochemical events. Nociceptive pain can be somatic or visceral. 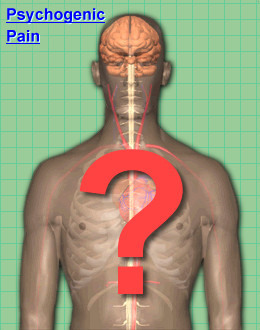 Somatic pain is typically described as aching, stabbing, throbbing, or pressure like. Visceral pain occurs when a hollow viscous is obstructed creating a cramping sensation or when distention of organ capsules occurs, which creates an aching discomfort. Burning, Tingling, Numbing, Pressing, Squeezing, Itching. Can be constant or fluctuate in severity. Neuropathic pain is dysesthetic in nature. Neuropathic pain occurs when peripheral nerve roots are involved with tumor. Aberrant somatosensory processes occur when the peripheral nerve is injured by tumor expansion or infiltration. The pain that is created is dysesthetic in nature. It is described as either burning, tingling, numbing, pressing, squeezing, and/or itching. It can be constant or it can fluctuate in severity. It is typically described as extremely unpleasant and often intolerable. Underlying structural lesion can not be found and pain perceived seems to be excessive for the etiology identified. Frequently the major contribution to the pain is psychological. Because the component of pain is psychogenic, it will not respond to drug therapies. Pain is termed idiopathic if an underlying structural lesion cannot be identified or if the pain perceived seems to be excessive for the etiology identified. Frequently in patients with this type of pain, the major contribution to the pain is psychological. This is not to say that the pain is "imaginary." It is to highlight the complex nature of pain, being already defined as a sensory and emotional experience, which cannot be separated. The understanding of this is crucial to adequate pain management because the component of pain that is psychogenic will not respond to drug therapies, in spite of increasing the drugs to their toxicities.